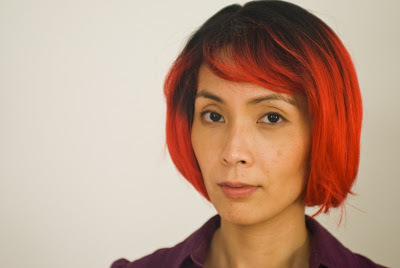 Here is a well - lit Kathleen in an orange and very android-esque wig. And boots. Don't forget the boots!